Leading Irish auction house Victor Mee Auctions has announced a range of unique pieces of Irish history and heritage which will appear before eager bidders from around the world in the company’s upcoming Antique Furniture and Decorative Interiors sale on Wednesday 7th and an auction specialising in Rare Collectibles and Pub Memorabilia on Thursday 8th November 2018. Including over 200 lots of ecclesiastical items and relics from a private collection, an iconic piece of Donegal seaside heritage, and iconic pub memorabilia for which Victor Mee has become well-known, the upcoming sale will feature some of the most exciting lots to hit the block in recent memory at Victor Mee. The two-day sale will kick off at 5.30pm on 7th November at Victor Mee’s Cavan-based auction house with an impressive collection of ecclesiastical items developed by a private individual who previously worked in the sales trade for an ecclesiastical company. 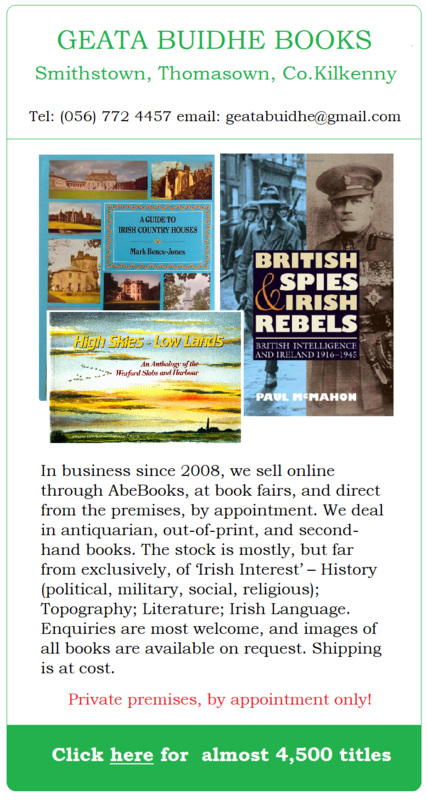 Travelling around Ireland’s religious institutions for three decades, the anonymous seller saw an opportunity to acquire unique items as a result of modernisation of Ireland’s churches and convents, particularly following the reforms of Vatican II. Items of particular interest for bidders interested in Church history include a pair of gold embossed embroidered pelmets which originally formed part of a canopy that was used for the May procession, acquired from a French order. Hand-embroidered and intricately detailed banners including St Teresa of the Little Flower, a ‘guardian angel,’ and double-sided Mary Immaculate are estimated to be nearly a century old, while statues including a pair of angels and a large kneeling plaster statue of St Michael the Archangel could exceed over a century old. Additional items gaining attention from global collectors include a freestanding gothic oak baptismal font with original copper bowl from a religious house in Scotland, a collection of pre-Vatican II vestments which have been immaculately preserved, and old German Crib set figures sourced from a monastery in the West of Ireland. 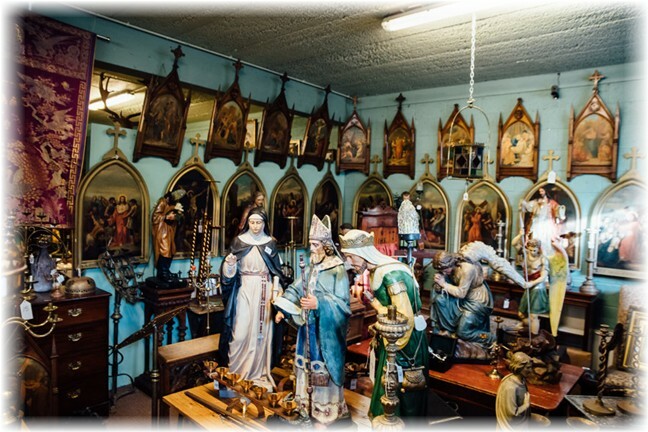 “During his time of buying and selling ecclesiastical items, the collector received calls from movie production companies in search of period religious items,” said auctioneer Victor Mee. “Some of these items have appeared in movies made in Ireland including Moone Boy, Calvary and The General, to name a few, giving these pieces an added ‘Hollywood appeal,’” added Victor. Reminiscent of many Irish childhoods spent by the seaside, Day 2 of the upcoming Victor Mee sale will be highlighted by a rare and exceptional late 19th-century carousel complete with twelve hand-painted wooden horses and two hand-painted metal swing boats which are hand operated. Part of a private collection, the carousel was originally bought from the Farrells, a carnival family from Buncrana in County Donegal. Commissioned by the Farrell family in the late 19th century, this incredibly rare piece was used up to the 1940s but would have become obsolete when electrical carousels came into operation. 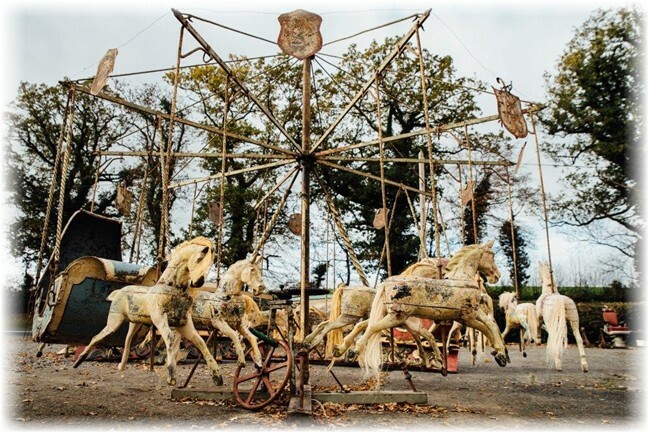 The London-made carousel will go before global bidders on Thursday 8th November and is expected to sell for around €10,000 to what will likely be an international buyer. A growing area of expertise for the family owned and operated auction house, Irish whiskey memorabilia including rare bottles, mirrors, and advertising displays continues to be a popular feature in the team’s monthly sales. With a growing global clientele of whiskey collectors and enthusiasts clamouring for these rare pieces of collectable heritage for current and historic whiskey brands, Irish sellers continue to come forward to Victor and his team to take advantage of his extensive industry knowledge and cash in heirlooms. 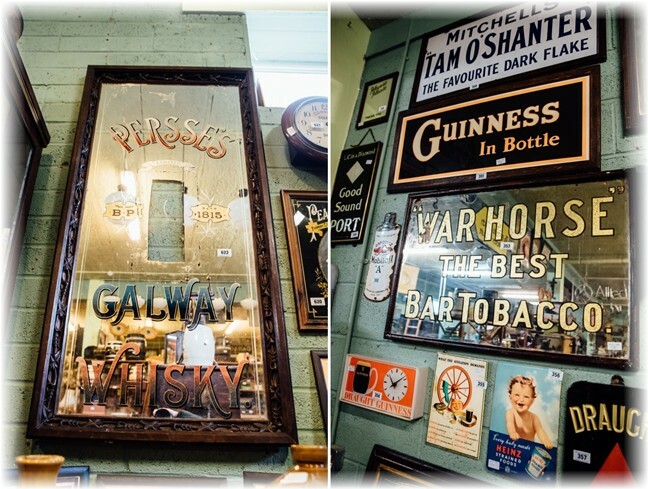 In addition to a collection of Midleton and Jameson whiskey bottles confirmed for the sale, bidders can expect to get the opportunity to bid on a rare collection of advertising whiskey and tobacco mirrors including a Persse’s Galway whiskey mirror which was originally homed in a pub in the South of Ireland. Destined for the skip, this piece was saved by its current owner and is estimated to bring in between €1,500 and €3,000, proving that sometimes one man’s trash really is another man’s treasure. Additional mirrors featuring in the Thursday 8th November sale at Victor Mee include pieces from Cowan’s Old Irish whiskey, Kirker Greer whiskey, Power’s whiskey, and Mitchell’s Old Irish Whiskey. 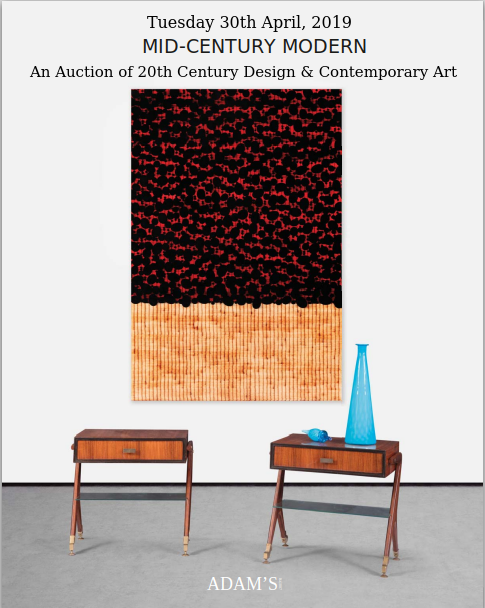 These pieces are each estimated to earn €2,000 to €4,000 for their current owners. For more information on the Wednesday 7th and Thursday 8th November sales at Victor Mee Auctions visit www.victormeeauctions.ie. For media queries or interview opportunities please contact Brittany Breslin Brittany@massivepr.tv +44 (0) 7786 964 645) at Massive PR.